DENVER — James F. Yacone is a decorated combat veteran, an accomplished criminal investigator and a graduate of West Point, but he doesn’t like to brag. The walls in his office at the Denver FBI are nearly bare, with just a sampling of photographs from his military service overseas despite his many awards and accolades. “I am just an ordinary person put in extraordinary circumstances,” he said. 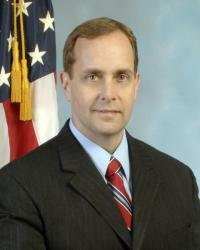 Yacone, 45, took over as special agent in charge of the Denver FBI in April after the retirement of James Davis, who went on to head the Colorado Department of Public Safety. Posted: 5/23/11 at 8:28 AM under FBI, Milestone, News Story.